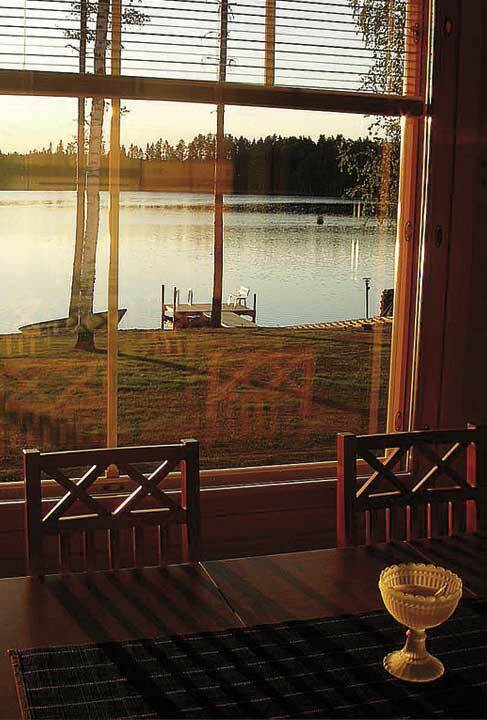 The Saalasti Holiday Cottages are located in Savitaipale in South Karelia, halfway between Lappeenranta and Mikkeli, near Highway 13. The well-equipped log cabins are in a very quiet area and have their own beaches. Broad yards and distant neighbours provide peace and privacy for your holiday. The level yards make it easy to move about and for children to play and enjoy nature. You can enjoy yourselves here any time of year. In winter, enjoy the ski trail and sledding hill. In summer you can start gathering mushrooms and berries right from the corner of the yard. Jump off the dock into a boat and go fishing in Lake Lahnavesi. Welcome to a wonderful visit!